Check out this awesome picture of the Laie, Hawaii Mormon temple shot by my new photographer friend (via Jonathan Canlas) Ed. You're friends with that guy? lucky! Thanks for the comment Nat. I just raised my price a little bit. I'm finding that hours on end of editing hundreds of photos is worth a little more than $90. Wow....that is a beautiful shot. I love that temple. Hey natalie...its been a long time, but dont wrory i know all about your life through taylor. our photographer was a girl named shannon. i think it is called images by shannon. www.shannonbrems.com. she is one cool girl. i really liked her. Wow! 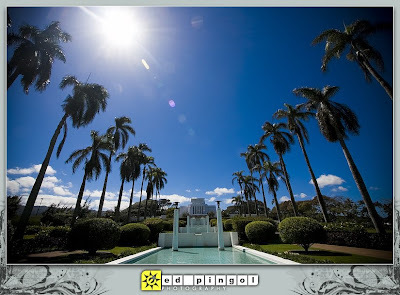 I think that's my favorite shot of the Laie Temple!